Isn't she beautiful? 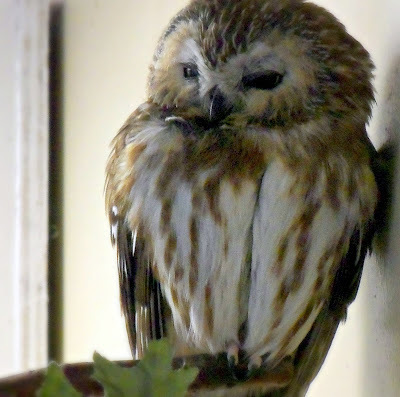 This is Sophia, a Saw-whet Owl that lives at Effie Yeaw Nature Center near Sacramento, CA. My sister and I met her yesterday while on our annual, all-day birdwatching trip. Sophia is very compact at only eight inches tall. Saw-whet Owls are not seen very often due to their small size and because they only come out at night. She was hit by a truck five years ago and somehow clung to the grill for sixty miles. Veterinarians nursed Sophia back to health, but she lives permanently at the nature center because she can no longer survive in the wild. It was absolutely gorgeous in central California yesterday. 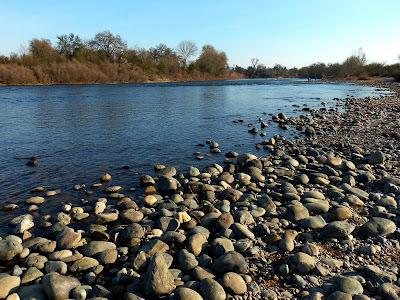 We took a walk from the nature center down a short path to the American River and had a relaxing afternoon break by the water. Oh, what a sad story. She's such a beautiful little owl -- what a pretty little face. Did you see lots of other birds on your trip? She is soooo adorable! What a wonderful story of survival. Effie Yeaw is such a gem! Reminds me I should get out there more. Glad you had a good trip. Stacy, Sophia is gorgeous! Thank you so much for sharing this photo. I adore owls... It's wonderful that you live near to this lovely nature centre. Sophia has been through so much but is looking healthy and happy. OH WOW, what a beautiful OWL! 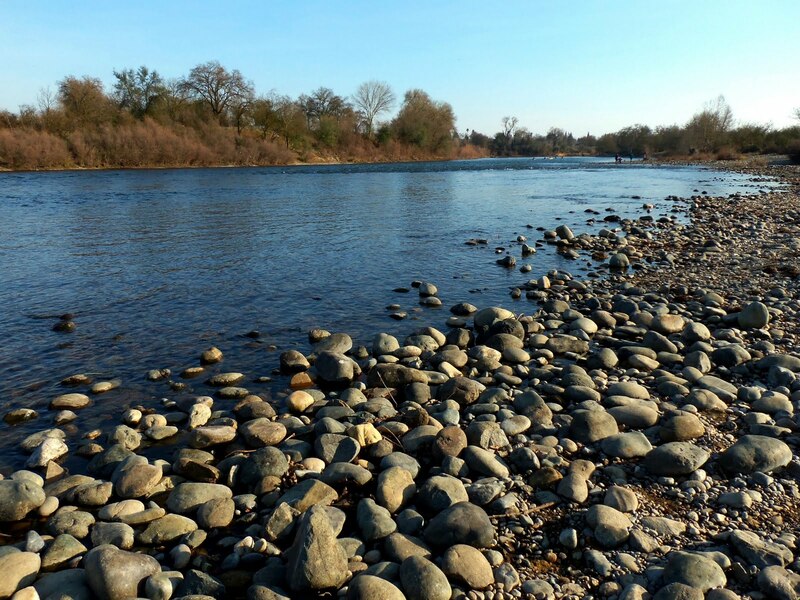 I also love that picture of the river and those pretty rocks! Sweet day spent with your Sister! HUGS! She is such a beautiful owl and I love how she is posed there like such a lady. We visit the wild life center in Savannah and it is always a great way to spend the day. Wow. Poor thing. She's a pretty little girl, isn't she? I just adore that little owl. So sweet. Happy the story ended well for her. i love owls so much. OUR JUSTIN IS HOME, THANK YOU FOR YOUR PRAYERS! HUGS!